Located just off of Main Street in Vancouver real estate market, the Block townhomes are city townhouses that present spacious floor plans and functional spaces. ParkLane Homes presents these pre-sale Vancouver Block Townhomes for sale right now, offering the best of urban city living in addition to an affordable price point whether you’re a first time Greater Vancouver home buyer or a couple or family. The awesome list of features presented here at the presale The Block Vancouver townhomes for sale are absolutely stunning and unmatched by any other East Vancouver real estate development at the moment. In addition, the master planned townhouse community at The Block Vancouver townhomes features only thirty two homes for sale, something that is in high demand and limited supply. And why would you consider The Block Townhomes by ParkLane Homes? Well, another reason is the great location. Situated just off of Main Street, you will be part of an exciting neighbourhood that is pedestrian as well as children and pet friendly. In addition, the pre-construction Vancouver townhomes at The Block townhouse living are just minutes away from downtown Vancouver. Walking distance to grocery stores, shopping, boutiques, eateries, coffee shops and more, you can walk to anything from the presale East Vancouver The Block townhomes for sale by ParkLane. And, in terms of housing affordability, where else in central Vancouver real estate can you find such spacious urban living in a new development for around $600,000? The answer is no where except for The Block Vancouver townhomes by ParkLane Homes who have made these family and executive cityhomes within reach for many first time homebuyers, investors and families. With any real estate market, including Vancouver’s, families, couples and singles have to choose from a limited supply of affordably housing. Usually, smaller apartments and condos are perfect for the single life. But then you move in with your partner, get married and start having kids, unfortunately these days, home prices are way out of whack, and housing affordability becomes a grave issue. 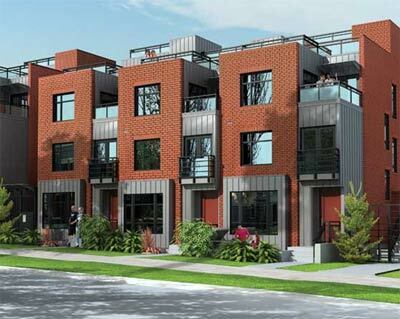 Therefore, why not plan on moving into a brand new East Vancouver townhome at The Block? These multi-family townhouse developments are perfect for couples and growing families as they are much more affordable then single family homes and offer plenty of living space, and space to grow into. The Block Vancouver townhomes for sale by ParkLane homes are extra spacious and provide the best price per square foot in terms of housing type in Greater Vancouver. The pre-sale Vancouver Block townhouses for sale are definitely worth a look if the condo you’re living in is getting cramped and the single family home is way too expensive. Plus, urban townhouse living provides maintenance free living, and therefore, everthing is taken care of for you at the new master planned Block Vancouver townhomes. When it comes to Vancouver housing affordability, we all know the drill. It’s just way too expensive to own a new single family home in Vancouver these days and when you can afford a house, they are usually Vancouver specials that require a range of renovations costing you a fortune and stressful time. The pre-construction East Vancouver townhomes at The Block ParkLane Homes presents affordable city townhouses that start from the high $500k range, and that is great value for what you get. As a homebuyers market right now, this price point for the Block East Vancouver townhomes is very affordable and competitive and there is nothing new like these townhouses in the vicinity. Brought to you by ParkLane Homes, a trusted and well established Lower Mainland property developer, The Block off Main Street presents only a few chances for you to own a centrally located, new Vancouver townhome. Featuring incredible views of the North Shore Mountains and downtown Vancouver, The Block townhomes by ParkLane is second to none when it comes to an incredibly central location. From courtyards to private entrances and from green spaces to individual lockers, there is plenty of room to grow into at these spacious Vancouver Block townhouses. Not only that, the pre-construction Block Vancouver town homes will also have direct access parkade in addition to oversized basements and second floor balconies with French doors. Large expansive windows will allow a lot of light into your new home which represents great value in this Greater Vancouver real estate market. In addition, ParkLane Homes presents two townhomes at The Block East Vancouver that have fully furnished one bedroom basement suites. How cool is that? 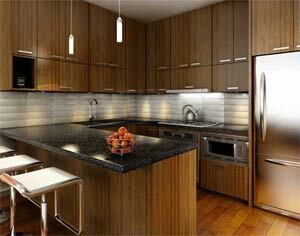 In terms of interior finishings, you’re looking at modern and urban contemporary features here. Natural stone counters and dark wood cabinetry is sophisticated yet striking and high-end appliances and the little details are all taken care of by ParkLane Homes at The Block townhouses. The extremely attractive exteriors at The Block Vancouver town homes off Main Street are awesome, lending to the neighbourhood’s historic character with deep red brick and metal panels. The East Vancouver Block Townhomes presents a few different layouts to choose from, but not too many to completely confuse the home buyer. Firstly, the Main Street Block Townhouses by ParkLane Homes presents two bedroom and den Vancouver town homes for sale that range from a spacious 1200 sq ft to 1500 square feet and these start in the high $500k range. The three bedroom The Block townhomes floor plans features 1600 to 1700 sq ft (so the extra room is for a third full sized bedroom that can be used as another sleeping room for a kid or an office or media room) and these East Vancouver homes for sale start in the mid $700k range. The largest of the floorplans here at the pre-construction Vancouver Block townhomes is the three bed plus a finished one bedroom basement suite that starts from the low $800k range. East Vancouver townhouses at The Block real estate development are now available for purchase in the original industrial area of Mount Pleasant that has been surprisingly transformed and revitalized in recent times. With a boutique project size of only 32 townhouses for sale, the East Vancouver Block townhomes feature two bedroom plus den to three bed plus den units that rnage from 1192 to 2101 sq ft and 1340 to 1680 square feet in size, very spacious for a new pre-construction East Vancouver townhome development. The prices for the pre-sale Block Vancouver homes for sale are from $569,900 and the sales centre is located at 458 East 11th Street in Vancouver and is now currently open for viewing. The hours of operation at the pre-sale Vancouver Block Townhome sales centre is between 12 and 5pm and you can phone them at 604.875.8800 to book a private appointment. The developer for this boutique Mount Pleasant real estate development at The Block in East Vancouver features ParkLane Homes (Biltmore) Ltd. and the interior designer is Cristina Oberti and the architect is Stuart Howard. The expected occupancy date for the pre-construction East Vancouver Block Mount Pleasant homes is for this Fall 2009. A great residential opportunity is now available with large decks, five metre elevation running through the property allowing for great views from all directions including downtown, North Shore mountains and the community. There is a common parking garage and there will be no elevators, making the low maintenance lifestyle available at an affordable price. The pre-sale Mount Pleasant East Vancouver homes for sale at The Block will feature front doors at Guelph or East 11th, making it a walk-in and out development (very unique) and it signifies ParkLane’s first Vancouver development in its history.